Shut the front door! 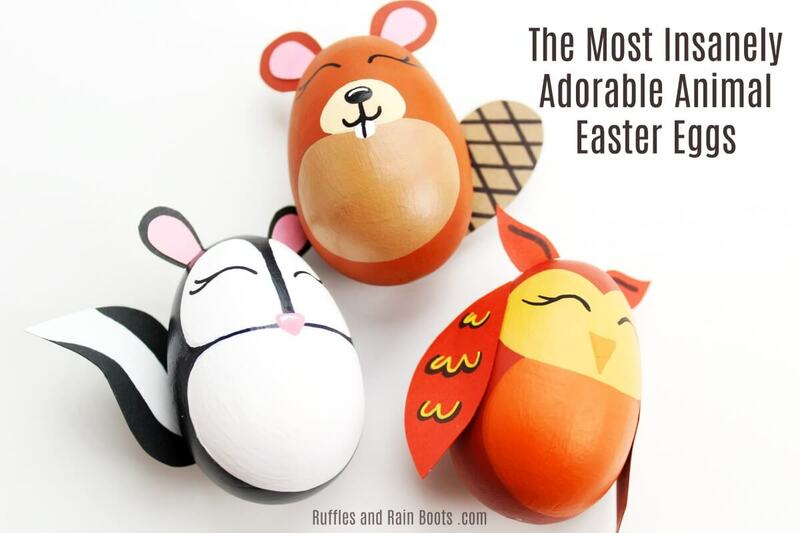 Look at these adorable woodland animal Easter eggs. After the “aww” sounds stop, let’s make some together. 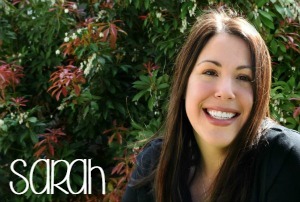 They’re so easy and just a smidge addictive to make because we give you the templates for all of it! We’re no stranger to fun Easter crafts here on Ruffles and Rain Boots but let me just say – these might be my favorite… Or these story stones. 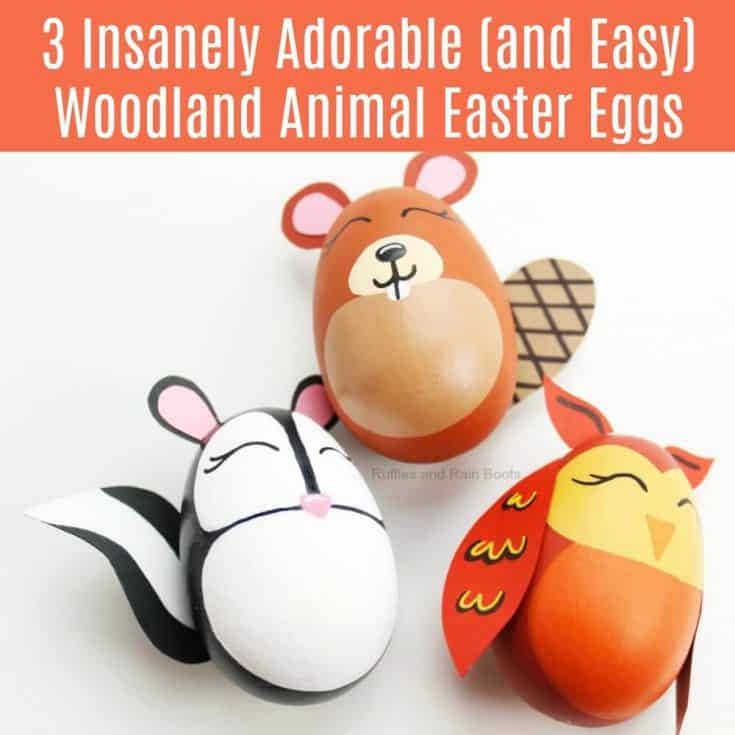 Either way, these easy woodland animal Easter eggs will be an amazing addition to your Easter tree or Spring decor. Friends, this craft couldn’t be more simple. Because the details are kept to a minimum and we’re providing a template (in the supplies list), there are no artistic skills required to pull off this fun Easter craft. 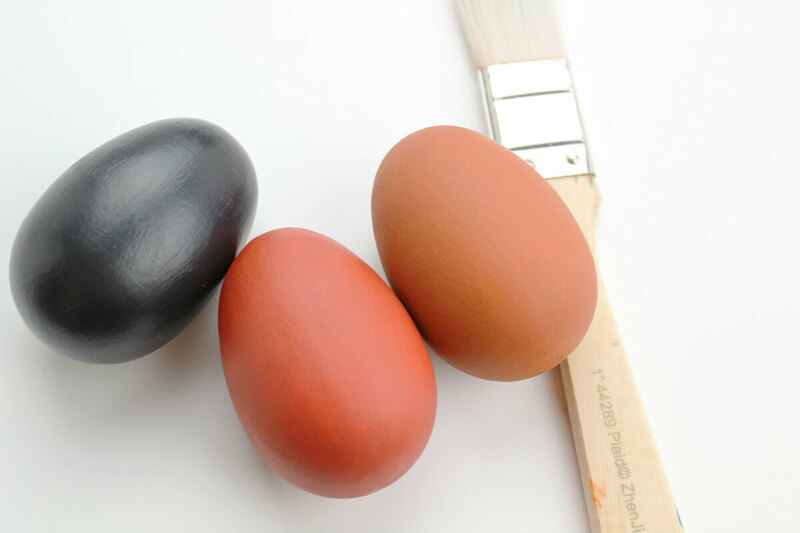 First, give each egg a base coat (it might take more than one coat). If you’re creating these with kids, base coat the day before to make sure they can get started quickly. Print off the template and cut each piece out. Trace the template pieces on color coordinating cardstock and cut out. Use the school glue to glue together the ear sections and let dry. While the paper pieces are drying, paint a face and belly onto each of the Easter eggs (use the photos as a guide). Note: this might require 2 coats of paint, depending on the color and thickness, but it dries quickly. (now a staple in our craft cabinet) to draw on the embellishments (eyes, nose, beak, etc.). 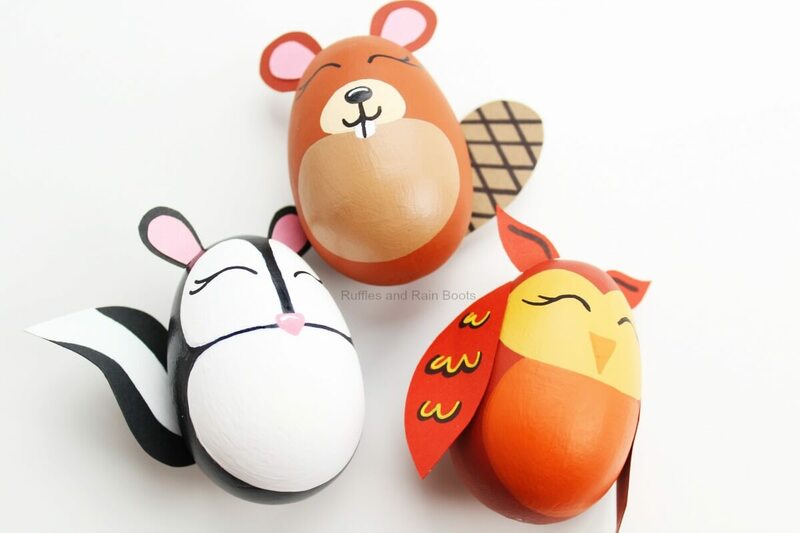 If the kids are doing this woodland animal Easter egg craft, let them run wild with it. Here’s where the work you’ve done really starts to come together. Use the glue gun (be really careful with your fingertips) to glue on each of the ears, tails, and wings to the eggs. A note about the tails – you want them off to the side a bit so that they can be seen easily. If you’d like to hang these on an Easter tree, just hot glue a strip of looped ribbon (about 6.5 inches before looping) to the back of the woodland animal Easter eggs. 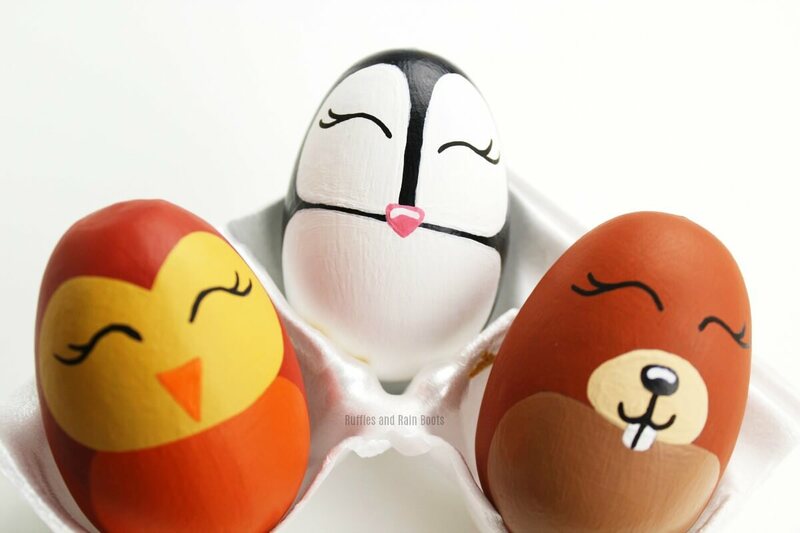 These animal Easter eggs are just too cute! 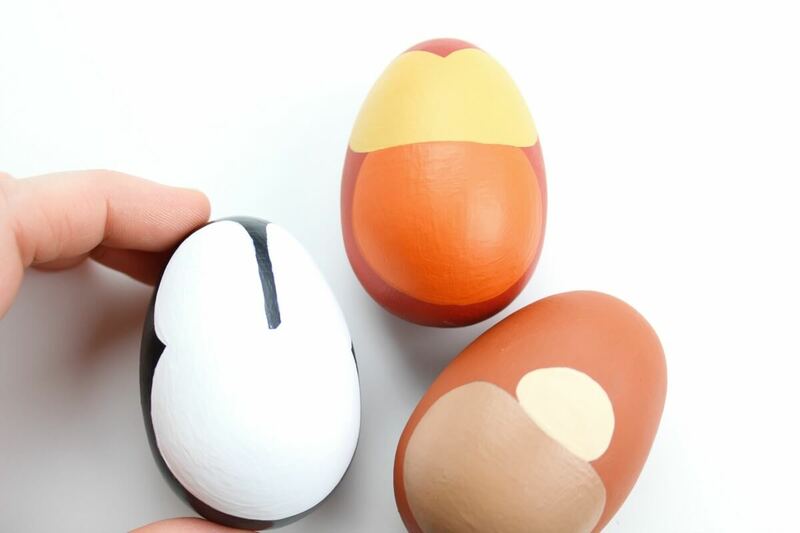 Isn’t this an easy – and oh-my-goodness-so-adorable – animal Easter eggs craft? The great news is that they’ll hold up well when stored because they won’t break like decorated blown eggs. May I ask you a favor? Can you please put these on your favorite Easter décor or spring board on Pinterest? Your shares are how we grow and I give you my sincerest thanks.